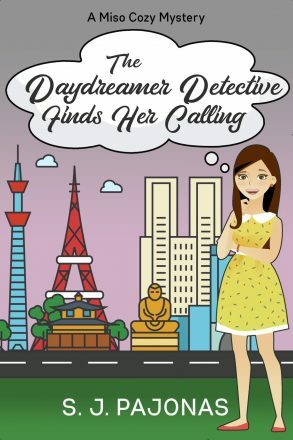 Goodness, it’s the release day for THE DAYDREAMER DETECTIVE FINDS HER CALLING! I’m so glad we made it here without a hitch. Though I’m laid up at home with a broken leg and fractured foot, I hope to celebrate this release day somehow. Maybe some ice cream? Yeah. That sounds doable. I really hope you love this next installment in the Miso Cozy Mysteries series! I enjoyed writing it and getting to know my characters even more under new and different circumstances. There are always more adventures to come in Chikata! I hope you enjoy this installment of the Miso Cozy Mysteries Series! Already have ideas for the next book in the series, so Mei has a lot to do in the coming years! If you have a moment, please leave a review of THE DAYDREAMER DETECTIVE FINDS HER CALLING wherever you purchased it. Thank you!